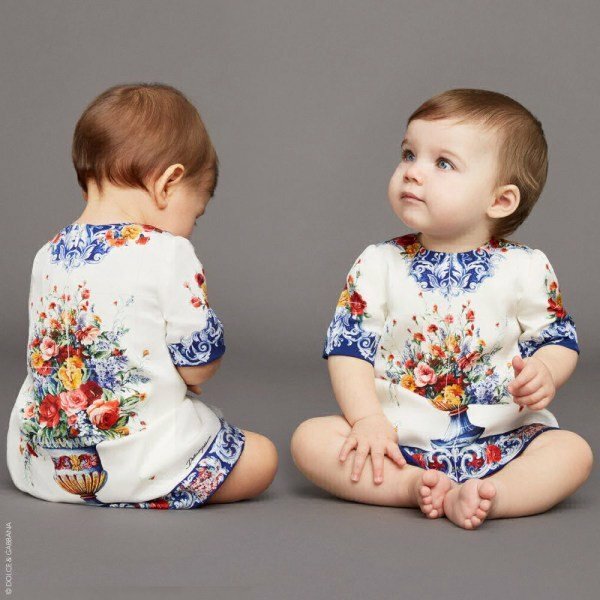 Your little baby girl will look like a little doll wearing this DOLCE & GABBANA Baby Girl Vaso Fiori Silk Mini Me Party Dress. 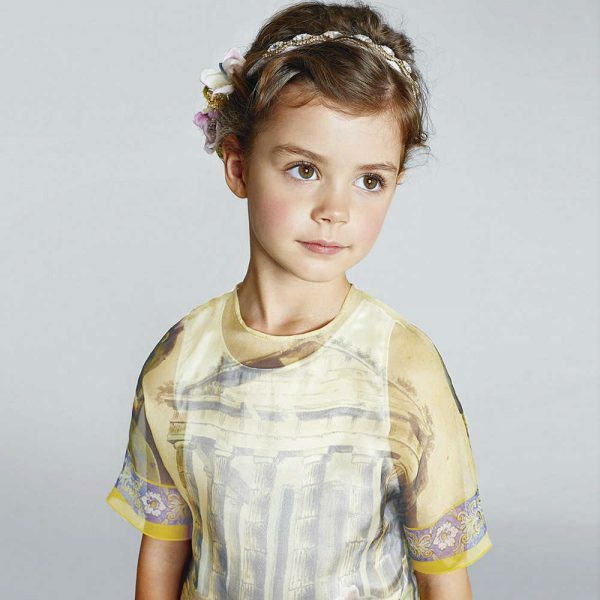 Inspired by the colors of local pottery in the Sicilian town of Caltagirone, this silk mini-me dress by Dolce & Gabbana is a truly unique addition to her occasion wardrobe. Your little princess will look and feel exquisite in this mommy & me dress, owing to the vibrant 'Vaso Fiori' design and silky soft viscose lining with attached bloomers.